We create websites and social media accounts your customers LOVE to interact with. Without all the stress and confusing tech-speak that comes with them. You need to run your business. You don't need to worry about a website or if you are getting enough info out on a social media channel every day. Hello! I'm Lisa Bonner, the owner of Solopreneur Media. We are located in Springfield, IL -- but provide services for companies anywhere in the United States. I started consulting way back in the 90's, teaching individuals, small businesses, and government agencies how to use the internet and various software applications. Back when websites were designed in table layouts and CSS was used to color websites. 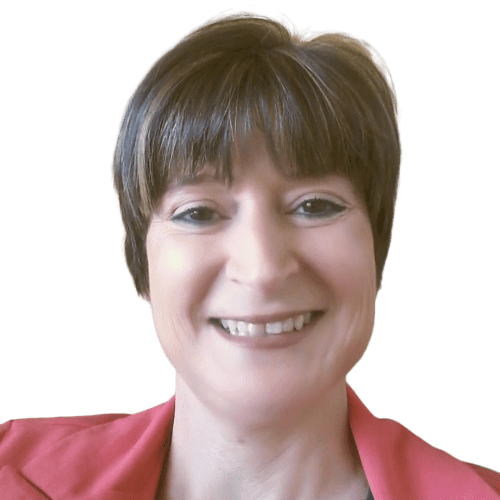 I've built websites for major non-profit organizations, trade associations, and have been a technical consultant for Ohio and Illinois state agencies, technology firms, real estate, construction, pest control, food industry, and beauty salons. One thing I've learned in my years is it's really hard for the "smaller" small business owner to compete in their industries. It's next to impossible to afford a a really great design firm. I wanted to change that. Solopreneur Media was developed to cater to the smaller businesses out there who need to look just as awesome and professional on the internet as the big companies do, without having to spend inflated prices for that look. If you are a solopreneur, one-woman-show, one-man-show, family-owned business and you are struggling to compete and are tired of not being able to easily communicate with existing or potential customers and you think you can't afford a professional firm to help you - we need to talk. Like, yesterday. Why on earth does your business need a website or social media account? Back in the day, websites were something shiny and cool. Used as electronic brochures, a website was used to give people just enough info to make them want to call you. Social Media was a goofy-looking MySpace page or a GeoCities site that every new "hacker/coder" spent endless hours and days "updating" every time some new code came out. Today, websites are more than a few swirls of color, images, and scattered words. Websites are online product catalogs, service listings, online stores, learning centers, media libraries, customer service portals, help desks, messenger services, problem solvers, and so much more! Social media accounts are used to interact with customers in minutes. In today's digital age, the majority of consumers want to "look you up" on the internet, check out what you do, and determine if you can solve their problem quickly and painlessly. If your website isn't there or isn't easy to use----those same people are jumping ship and over to your competitor quicker than you can say "lost sale!" Poor Communication Leads to Unfulfilled Expectations - that's why we insist on learning as much about your business and how YOU operate. Whether you are looking for a re-brand, starting from scratch, or giving your business a face-lift, we will ask a lot of questions to bring your vision to life. Poor Communication Over Project Timeline - at the contract signing, we will have outlined a rough sketch of the entire timeline, including what is to happen AFTER the project has completed. We will have agreed to who does maintenance, what changes will be included, what costs more, etc. You will never be in the dark with SoloPreneur Media and you will NEVER see fine print. All of our documents use pretty decent type size, and there aren't any surprises. Ever. Working Together When It Isn't a Good Fit - you don't want to work with everyone. Not everyone "meshes". Who wants to work with someone that thinks "Oh, no! Not them again!" when they see an email or caller ID? I run a pretty direct communication type firm. I'm not afraid to say we might not be the right agency for someone. I don't get my feelings hurt (maybe just a little...) when someone doesn't think we are the right agency for them. I'll even throw out a few recommendations to you if you decide you don't want to work with us. Not Challenging the Client - There are lots of firms out there who will only write down what the customer wants and only do those things. That's the wrong tactic. (In my humble little opinion...) It is our job to come to the table with ideas, suggestions, and items the client may not have even thought of. It's not all about up-selling either. It's about getting the customer the absolute best product they can have.